Heavy duty motors with stainless steel shafts and tough thermoplastic bodies. Includes comprehensive user manual with installation instructions and wiring diagram Snap-off strainer for easy cleaning Connections: For 19mm (3/4") bore hose. Removal of the motor cartridge allows for easy cleaning of the strainer and impeller in the event that the pump becomes clogged with debris. Removal of the motor cartridge allows for easy cleaning of the strainer and impeller in the event that the pump becomes clogged with debris. Electric Submersible Pumps are by far the most popular type of electric Bilge Pumps, submersibles give very high outputs, are cost effective, have low amp draw and are easy to install. They are designed to fit in the lowest part of the bilge and only require discharge pipe work and electricity supply. Ningbo Chunyi Electrical Appliance Co., Ltd.
Suqian Lagou Network Technology Co., Ltd.
Dongguan Naiady Electronic Technology Co., Ltd.
Q5. How to proceed an order for light9 A: 1. Let us know your requirements or application. Q6. Is it OK to print my logo on light product9 A: Yes, we can have your logo on the box. Q7: Do you offer guarantee for the products9 A: Yes, we offer 2 years warranty to our products. 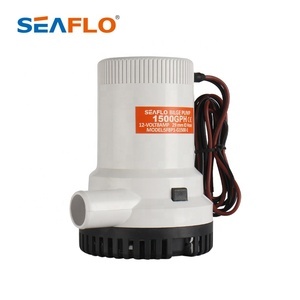 Taizhou Chinv Trade Co., Ltd.
1000GPH DC 12V bilge pump for marine boat Usage:in bilge,marine,boat,ship,garden,oil,industry,basement. Flow rate:1000GPH, Head:4m Voltage/Current:12V/5.5A,24V/3.5A Cable:1.2m; Outlet dia. :28.5mm Customer's logo can be done onto pump. Water cooled motors for long life, with anti airlock design and moisture tight seals. we are able to provide value added services and qualified marine equipments. We are looking forward to establishing relationships with you in the near future. 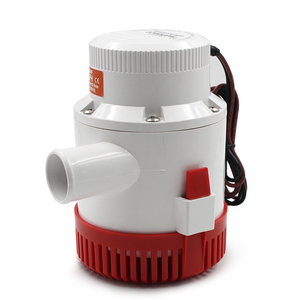 Alibaba.com offers 2,086 12v bilge pump products. About 37% of these are pumps. A wide variety of 12v bilge pump options are available to you, such as submersible, cryogenic, and fire. You can also choose from electric, hydraulic, and pneumatic. As well as from single-stage pump, diaphragm pump, and gear pump. And whether 12v bilge pump is paid samples, or free samples. 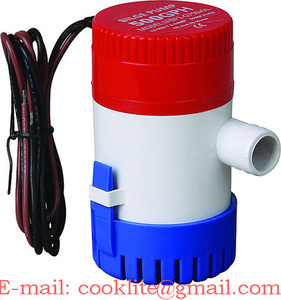 There are 1,992 12v bilge pump suppliers, mainly located in Asia. The top supplying countries are China (Mainland), Taiwan, and Malta, which supply 97%, 1%, and 1% of 12v bilge pump respectively. 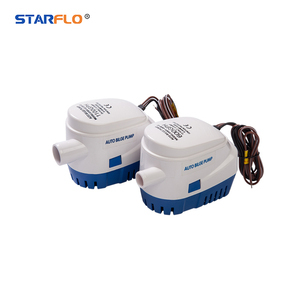 2v bilge pump products are most popular in North America, Oceania, and South Asia. You can ensure product safety by selecting from certified suppliers, including 506 with ISO9001, 88 with ISO14001, and 78 with OHSAS18001 certification.